Belize gifts you the spectacular and unobstructed view of the Barrier Reef while you dabble your feet in the turquoise waters of the Caribbean Sea. 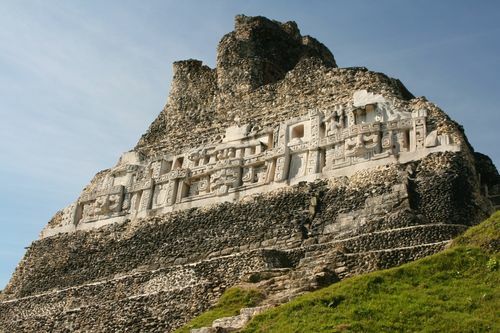 Nestled between Mexico and Guatemala, Belize is a small entity near the tail end of North American continent. With an intriguing mix of tropical forests rich with wildlife, majestic mountains, mysterious Maya temples and scuba diving and fishing experiences, the country qualifies unanimously as an adventurer’s paradise. Belize is spread over an area of 8,867 sq miles but tourists can cover the ecological wonders like the tropical forest to the longest barrier reef in the Western Hemisphere in one day’s travel only. The friendly mestizo, African, or Mayan descent constitute the population strength of approximately 279,457 people and comprise the blend of races and cultures that make up Belize. Apart from sharing its borders with Mexico to the northwest and Guatemala to the west and south, Belize is also neighbour to Honduras, which is 75 km away (47 miles) across the Gulf of Honduras. The country accommodates enough geographical diversity in its small perimeter that ranges from the flat, swampy lands to the Mayan mountain ranges of the south. Flourishing amidst the fertile basins of Belize, Hondo and Sarstoon Rivers, the country terrain is heavily forested with various hardwoods. 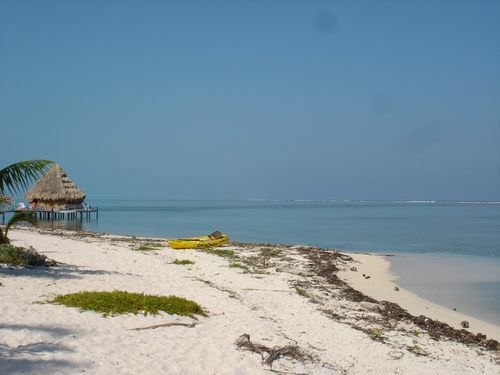 The eastern fringes of the country are drenched by the waves of the Caribbean Sea and are dotted with coral reefs and small islands that are known as ‘cayes’ in local dialect. The countrywide marshy lands find their way up to the southern Mayan mountains and reach the highest point at Victoria Peak (1,160 metres). The weather gods are lenient with sunshine and rainfalls over Belize but with little of cooler temperatures. The climate resembles sub tropical features and the island nation often faces the wrath of nature with hurricanes and floods. Belize embarked on its journey of human settlement between 1500 BC and AD 300 when the ancient Mayan civilisation was spread over the region. Several seafarers and pirate groups made brief stopover or sailed past the island but first recorded European settlement was begun by shipwrecked English seamen in 1638. The succeeding decades witnessed a power struggle between British and Spanish authorities over Belize until Britain defeated the Spanish in the battle of St. George's Cay (1798). Belize came to be known as the British Honduras and became a Crown colony in 1862. Self-governance was granted to the country on January 1964. A decade later the country got its present name of Belize. Though it became independent on September 21, 1981, neighbouring Guatemala refused to recognise it until 1992 due to some territorial dispute. The economical structure of Belize relies on the sole flow of foreign currency from tourism. Though the export revenues from marine products, citrus, cane sugar, bananas, and garments try to fill in the wide fiscal demand-supply gap, still it falls short to eradicate poverty in the country. Some recent initiatives and intelligent policymaking on behalf of the government has stabilised the situation with a healthy 6% GDP rate. Belize is a full participating member of the Caribbean Community (CARICOM) and has survived as a self-governed entity since its independence in 1981. In reality, Belize is a parliamentary democracy that is supervised by a constitutional monarchy. The executive body of the country is comprised of the prime minister and his set of cabinet ministers who function on behalf of the head of state, the British monarch. A Belizean governor general usually represents the Crown in the country. A 12-member strong Senate and 29-seated House of Representatives constitute the bicameral National Assembly of Belize. The Senators are appointed by the governor on advice from various quarters whereas the Representatives are elected by direct popular vote to serve five-year terms.